All Star Memorials has worked with most of the Cemeteries in the Greater Philadelphia area. We are familiar with the processes and practices as required by each of these facilities. Cemeteries follow rules of ownership for determining who gets to be buried, place a memorial or who is allowed to authorize an inscription. Usually when a family chooses a cemetery their choice is heavily influenced by 3 major factors. 1) Where parents or other family members are buried. 2) Convenience and beauty of the cemetery location. 3) Religious, non-sectarian or military status. It is easy to see that cemetery rules are important, because people rely on them for their cemetery choices. 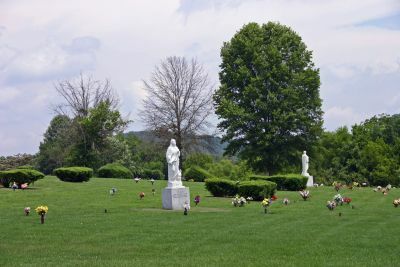 Your cemetery probably has rules about what can or cannot be on a memorial and what material, usually granite or bronze, the memorial may be made from. Other restrictions may have to do with shape, color, size and height. Still other rules may define where and how many names can be on the memorial, what religious symbols are or are not allowed. Some cemeteries may forbid porcelain photos, etchings, and other memorabilia. Some of these rules may differ from section to section within a cemetery. Also there are cemetery forms and cemetery fees that you must be aware of. The memorial you choose and pay for may be refused at the cemetery gate if all cemetery rules are not followed in accordance with cemetery policy. WHO IS RESPONSIBLE FOR FOLLOWING THE RULES? Ultimately the authorized owner is responsible for following all of the cemetery rules, regulations and specifications. All Star Memorials has many years of experience from the perspective of the survivors of a loss and from the cemetery perspective as well. 1) Maintaining a file of rules from cemeteries. 2) Helping you to follow the rules as you make your choices. 3) Obtaining and delivering the cemetery forms and permits. 4) Following cemetery rules for foundations, delivery and setting of your memorial. We do this locally and at a distance. Everyone in our firm knows how important cemetery rules are to you and to the fulfillment of our mission. That is the reason for our asking so o o o many questions. And that is the reason that our work is 100% guaranteed! 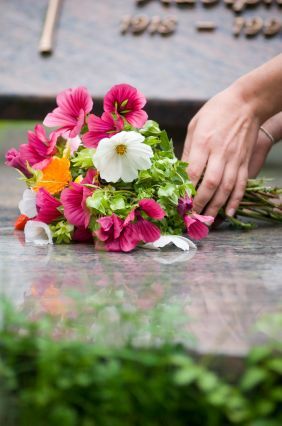 To help you with the permanent memorialization of your recently passed loved one, simply fill out the form on the top right of this page.